The Beers and Breweries of Charleston Await. Come Join Us for a Pint. Charleston Celebrates Craft Beer and Local Breweries. 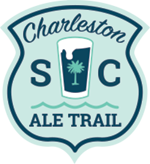 The Charleston Ale Trail is the Lowcountry's field guide to Charleston area breweries, beer shops, and restaurants that serve up local beers. 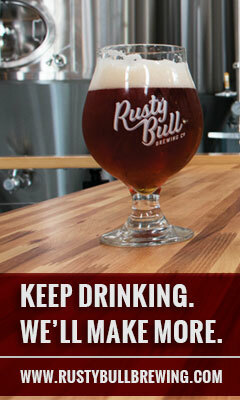 The print version of our guide is now available at area breweries, restaurants, and businesses! 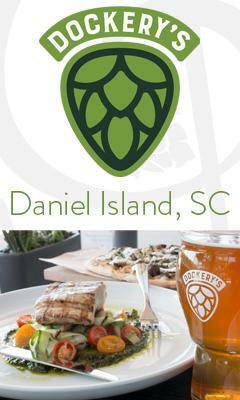 Follow us on Facebook or Instagram to keep your eye on the Charleston beer scene! "We are turning two and will be celebrating with the return of our annual homebrew competition and festival, Chucktown Brewdown, on Saturday, April 20, 2019, from 1pm-5pm. This year we are challenging over 30 Lowcountry homebrewers to brew their best IPAs with the winner getting their beer placed on tap at our brewery among other prizes. Attendees will also get to help select which brewer will win the coveted People's Choice Award (not the grand prize). There will also be live music and our anniversary beer release. $40 VIP gets you one-hour early admission, one slice of Famulari's pizza, 1 pint of Fam's Brewing Co. beer, an event t-shirt, and a souvenir tasting glass. Day of sales is not guaranteed as they will be limited to capacity. **If you are a homebrewer and would like to compete, visit www.famularis.com… to register and get more details about the competition. Registration closes at 5 pm Monday, Feb. 18, 2019." On Saturday, April 20th, the Charleston Hemp Company will host the 2019 Charleston Hemp Fest, the first outdoor music festival, on their Ridgeville farm. Attendees can expect live music from local bands throughout the day along with food, beer, and wine for purchase including a collaboration CBD-infused beer from Fatty's Beer Works. A portion of each ticket sale goes to MUSC Addictions Research. Merchandise will be discounted on the day of the festival. "Enjoy a beer while your half pints join us for a fun and interactive Storytime at Two Blokes Brewing! Browse the pop-up bookstop following Storytime to discover you and your little one's next favorite book." "Daily Pre-Happy Hour -- from 3:00-4:30 p.m. 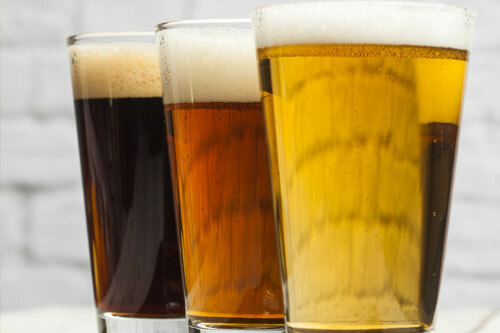 Enjoy 12-ounce house beers for $3 each and a featured wine by the glass for $3 per half pour and $6 per full pour. Stop by any day of the week to enjoy this!" "Accessible and fun Yoga inside the brewery for 45 minutes followed by a flight or pint of craft beer! We always some mats to borrow and your teacher Michele is kind, fun and knowledgeable! Every student matters and we cant wait to meet you!" "Join us every Sunday for Brewery Bingo! Prizes and Fun every round." "Enjoy Prime Rib Night Mondays at Bar Mash! Certified Angus Beef Prime Rib, a baked potato and beer-battered onion rings will all be available for $21. Available while supplies last!" $2.00 off All drinks (wine, beer, Cider, Cocktails, and specials) from Merrow's Garden Bar and small bites provided by the Workshop food vendors. WHERE: Edmund's Oast Brewing Co.
"Are you someone who Drinks and Knows Things? If so, we have some exciting news for your Monday nights! We are hosting Geeks Who Drink here in the EOBC Taproom! ﻿Team size can range from 1-6 people. Fabulous Prizes are up for grabs! Start time is 7:00 P.M. and we go till 9:00 P.M., EOBC Taproom will be open with Full Bar Service till 10:00 P.M! " "Join us for a fun night of drag bingo, drinks, and kitty cuddles hosted by Patti O'Furniture! The 2-hour night of bingo will include 4-6 rounds, and each guest will receive 6 game cards (you can play more than one card per game to up your chances). Prizes will include things like cat mugs, gift certificates, t-shirts, and other fun cat-themed items! Spots are limited so sign up meow!" Live music starts at 10pm. No cover. Edmund’s Oast Exchange is offering weekly beer and wine tastings for just $5. All proceeds will benefit a different charity each quarter. "Join us every Wednesday at the Exchange from 5 to 9 p.m. for Wine Bar Wednesdays! Charcuterie and cheese plates from Edmund’s Oast restaurant will be available to purchase and enjoy in the shop. The plates can be paired with select wines for $6 per glass. In addition, any bottle of wine or beer can always be purchased and enjoyed with no corkage fee inside the shop or on our side patio. We will also offer a blind tasting flight for $15 on Wednesdays for those who like to nerd out while you relax. And yes, we are staying open an extra hour on Wednesdays for maximum enjoyment!" "Beards, Beer and Bingo OH MY! Buy a beer and get a bingo card. Winners will win prizes and, of course, Frothy BEER!" "Every Thursday from 4 to 6 p.m., Mercantile and Mash will be offering wine, beer or spirits tastings along with gourmet tastings and retail discounts. Entry is $10 per person." "Thirstday Beer Runs will be held every Thursday (rain or shine) starting from the Commonhouse promptly at 6:15 pm. Choose either the 1 mile or 5K route, both out and back and lined with sidewalks the entire way. Meet back at the Commonhouse for a beer and a bite to eat. Come earn your beers!" "Indulge your inner cake decorator! Enjoy a flight of beer on us and build your very own Wicked Good Cupcake Jars as seen on Shark Tank! The beer will be flowing and the sprinkles will be flying. We hope to see you there!" "Dashi will be back at Ghost Monkey Brewery this Friday! Cigar Row Events will also be at the brewery with delicious Peanut Butter Porter infused stogies and also the very popular JoJo Coffee Stout infused stogies.We don't need no stinkin jelly we got peanut butter beer! Stolen Hearts will be playing the tunes"
Baker & Brewer Open Soon! East Island Brewing Open Soon! Indigo Reef Brewing Co. Open Soon! Ship's Wheel (Cidery) Open Soon!